There was a time when having straight hair was everything and if you already had it, then my god I want it straighter. Curls and waves were banished, never to be seen in public. The days of straightening your hair within an inch of its life, any kink or slight hint of wave would be immediately clamped and taught a severe lesson. Once all the clamping, flattening, smoothing had sufficed, a mad dash to avoid the impending rain which, if caught would make your hair go a mixture of bent waves and a bucket load of unnecessary volume.. We've all been there. Then, like all fashion trends, straighteners suddenly became abandoned, left to sizzle away in man draws.. Along came the revolution. A spray, that could give you confidence to embrace your natural curl and wave. Something to make you believe that you too might know how it feels to wear the infamous 'surfer look'. (Oh c'mon, we've all been there. You know the guys I'm talking about as your wife, girlfriend, boyfriend or even your dog, looks on longingly at Brads, 'fresh out of the surf curls'). Applied to damp hair, teamed with a low speed and medium heat form your hairdryer, Sea Salt Spray by Dapper Dan will give you a strong matte finish, easing those curls and waves out in to the open. The only tool needed, sits at the end of your wrists. Tease that wave out by simply scrunching your hair between your fingers. Gently does it. Be careful not to over dry it. The hair will end up coarse and too dry and will become difficult to style, particularly with the product giving off a matte finish. Keep your powder dry and your dryer moving. A couple of seconds on each scrunch will suffice. Be brave, embrace those unruly curls. There are no rules. 1. Red or brown sauce? We caught up with the Weird Ape guys a while ago and had a play with their watches. When they tried taking the watches we had tried on back we explained that the only way they would see them again would be over our cold dead bodies. Things got a bit awkward. The Kolt skeleton watch (the one where you can see inside it) is £149, the Mayfair with the mesh strap is £79 and the Duke (the minimal watch with tan strap) is £69. 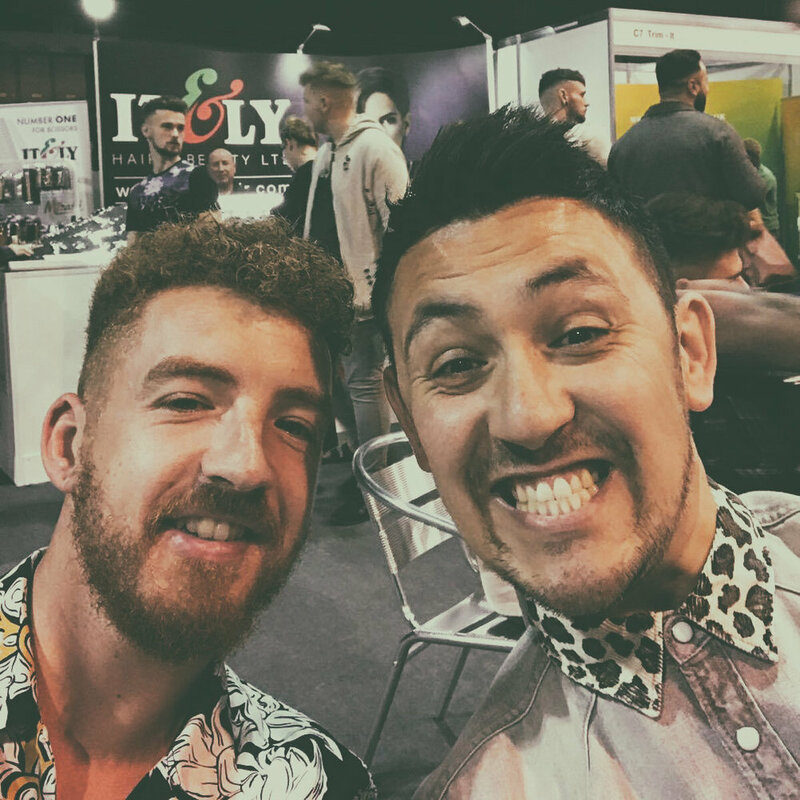 We’ve also just heard of some new models coming in August…..
Dan and Nick got the opportunity to go to the Barber Expo the other day. They packed their hip flasks and headed straight to the NEC Birmingham…. unfortunately the expo was in Telford. 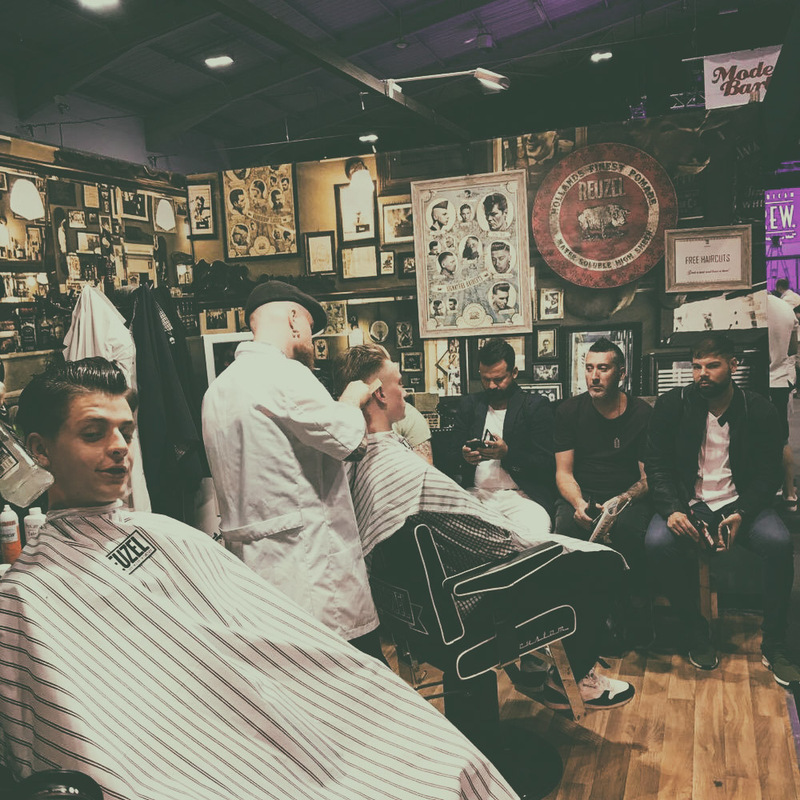 Barber Connect is the world's largest barber exhibition #Fact. 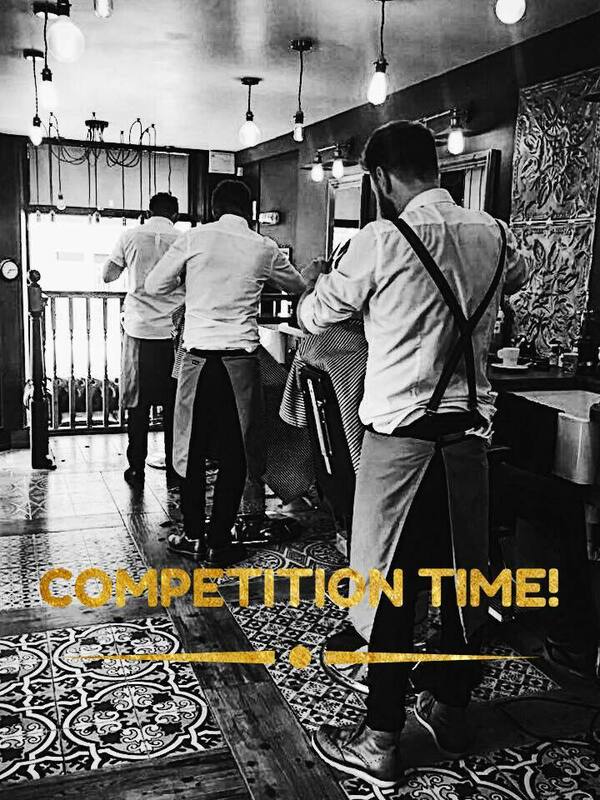 Its a great opportunity to catch up with others in the industry, share tall tales and try and bag some freebies. Nick went over to Wez from the Heartbreak Club Barbershop. Another group whose work we always follow. I think we need to start doing videos!